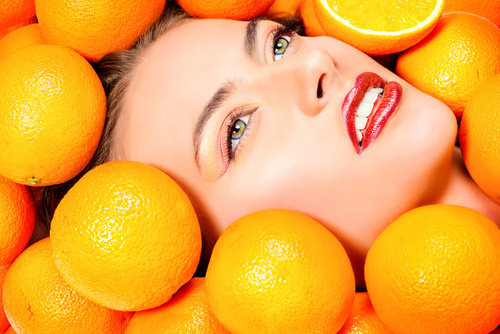 Vitamin C Facial Treatment is ALL you need to brighten and soften your skin! Alpha Arbutin – A natural skin brightener that inhibits the production of melanin. Ascorbic Acid – Brightens, lightens and tightens. Reverses environmental damage. Lactic Acid – A hydrating AHA gently exfoliates while improving skin tone and texture, improving pigmentation, discoloration, uneven skin tone, fine lines and wrinkles. The result is fresh, glowing, and healthy skin. “C” it be believe it. Brighten dull skin, improve skin tone and enhance skin clarity. Botanical extracts help treat and prevent cellular discoloration for instant flow and luminous skin complexion. This therapy involves a therapeutic grade peel that helps the skin get rid of accumulated dead skin cells. The exfoliation process will accelerate new skin cell turnover, thus revealing a healthy, glowing skin. Result in luminous skin with a smooth and clear complexion.